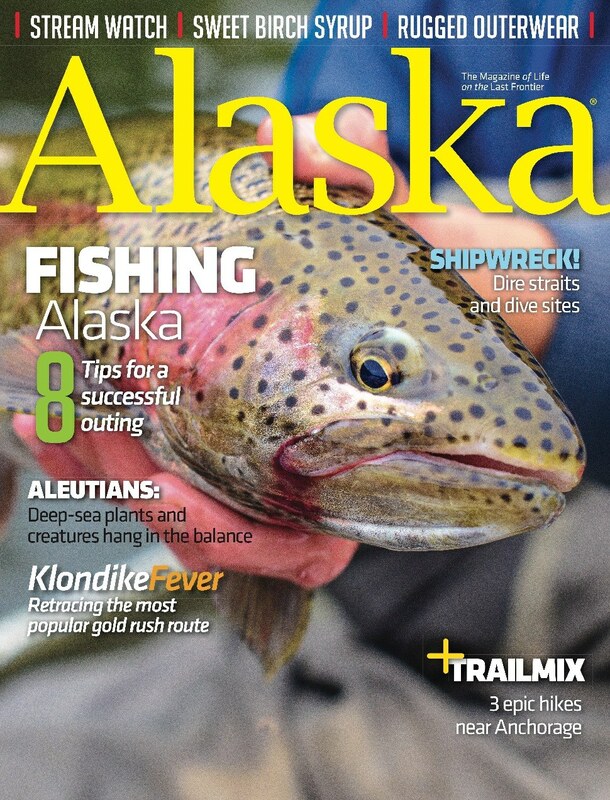 Our small but mighty team here at Alaska magazine has been talking a lot about food lately. While these wonderful conversations are constantly making us hungry, it’s all in preparation for our first ever September Fall Harvest issue—focusing on all the bounty that Alaska has to offer. I have found that my memory is sensory oriented, in all parts of my life—specifically with food. I have a terrible memory of events, even if they’re significant, unless a food or smell or taste has lingered in its wake. Here are a few dining experiences from my adventures in Alaska that I think are worth adding to your summer food list. You feel this instant connection when you walk into Ludvig’s Bistro in magical Sitka, like you’re home after a long time away. There’s a Mediterranean charm and local vibe that’s tangible when you walk in, and with each passing moment, you absorb the warmth and energy of it all. I sat at the counter and shared a few courses of beautiful food with friends I had just met. If you’re trying to show restraint in your caloric intake on vacation, this is the place to be weak. I suggest sharing the paella and a bottle of wine with somebody you really love: salmon, scallops, rockfish, calamari, and chorizo blend together with artichoke hearts, roasted red peppers, peas, and carrots with the perfect amount of smoked paprika. It’s a dish that I’m very particular about—but with each delicious bite and moment in Ludvig’s, you add reasons to your ever-growing list of why Sitka is unlike anywhere you’ve ever been. After a long day of hiking and exploring, the gorgeous timber frame building that harbors this hidden gem ignites all your senses. Even if you’re just stopping by for a freshly baked treat or dessert en route to your next camping spot, it’s worth the time. Their menu focuses on all locally grown ingredients and you have the opportunity to try things like reindeer liver pate and Alaskan octopus—testing your culinary boundaries with new flavor profiles and unique spins on traditional ingredients. They also serve a wicked delicious Sunday brunch (think pork belly, lettuce, and tomato sandwich on housemade bread), which in my opinion, helps soften the blow of driving back to Anchorage after a weekend escape to Denali. We keep our boat in Seward and I’m never disappointed when we can’t set sail for the weekend—it means there is a chance we dine at The Cookery. My advice? Go with your favorite dining buddies, and order one of everything. The service and vibe and curated wine list will keep you coming back as often as you can. I love their wild mushroom toast, broiled oysters and housemade sausages. Pro tip: follow them on instagram for dreamy photos of their daily specials that give you no excuse to cook dinner for yourself. What are your favorite spots? If you like my suggestions, I’ll happily keep sharing! Happy dining, friends.